Indoor plants do more than just beautify the bedroom. 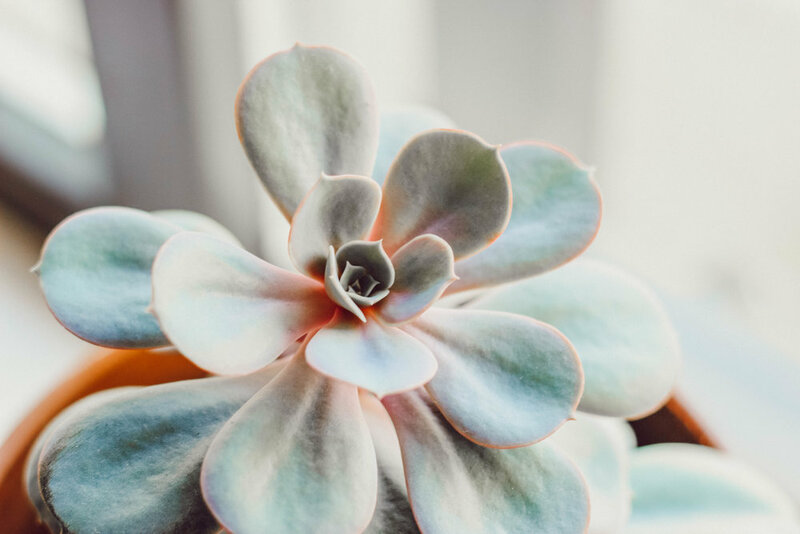 Research shows that house plants have real health benefits such as pulling toxins from the air, improving sleep, heightening attention and increasing happiness. I don't have much of a green thumb, so we grabbed a snake plant & a few succulents which are all low maintenance. 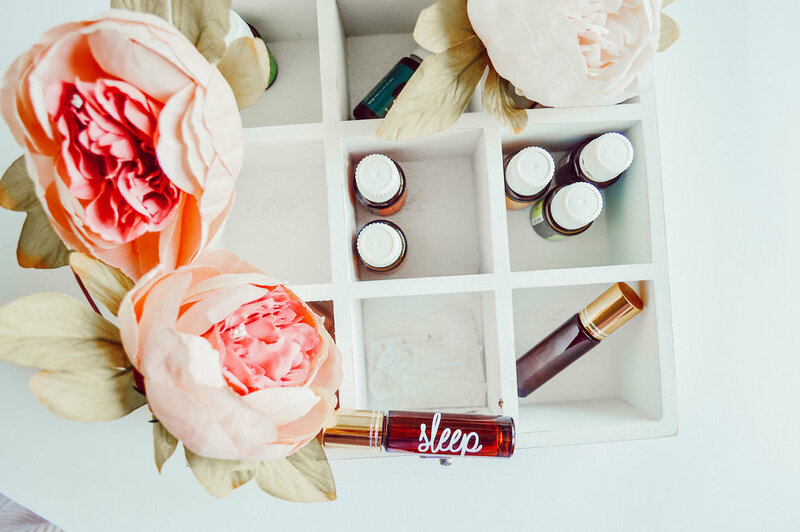 We got rid of toxic air fresheners + plugins and traded them in for all things essential oils. So far we've used different oils to make diffuser blends, room sprays and linen spray. I'll be sharing a few of our favorite recipes soon! We replaced all of our apartment lighting to LED bulbs. Not only do they last five times longer than conventional bulbs, they also use at least 75% less energy and offer better light quality. Okay, this one is a biggie, right? I'm so excited to share about our new mattress that I'm literally obsessed with! We've been so busy with the move and every day I tell Lew how much I can't wait to get back in bed. It's soo comfy now! If you're in the market for a mattress I highly recommend The Green Mattress. 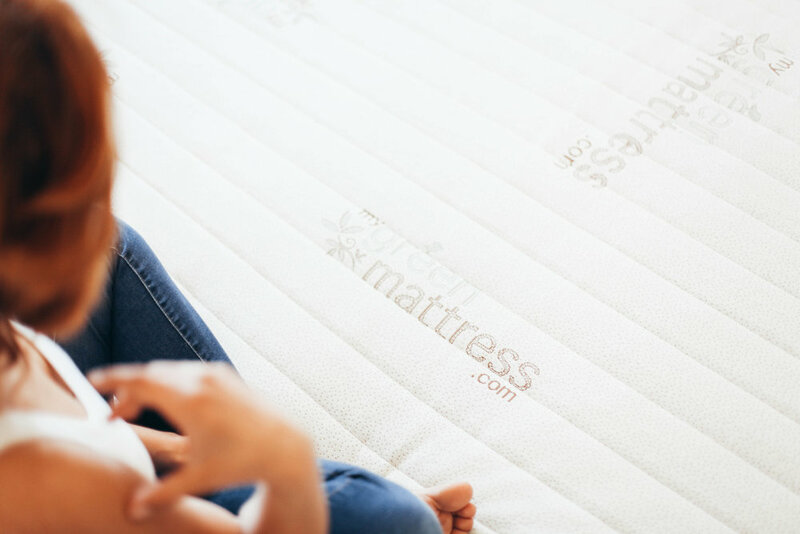 It's exactly the mattress we'd been looking for-- non-toxic and affordable! (and as a bonus: extremely comfortable!) 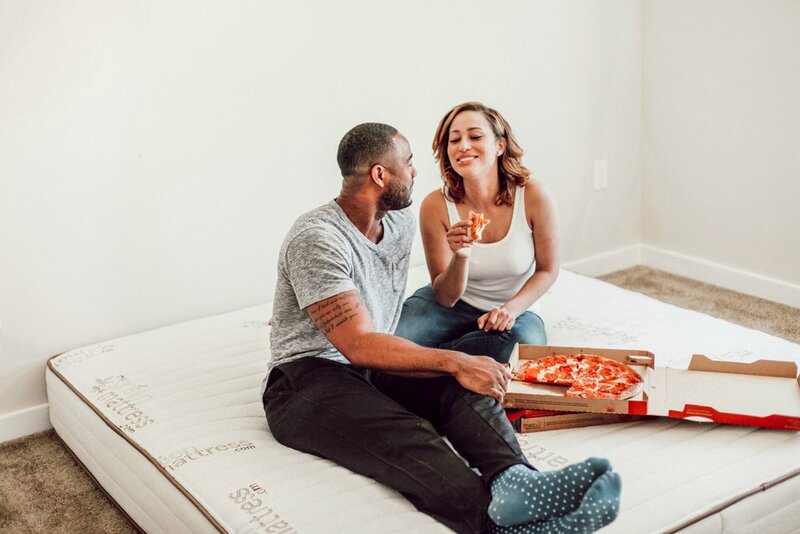 On top of all of that goodness, each mattress is hand-crafted in Illinois and run by a family (check out their sweet story here) who started the company to help alleviate their daughter's eczema and allergies. This was big for our family because Leo is currently having a tough time with the same issues! We're anxious to switch out his mattress for a Green Mattress now that we've tried it. We're really confident it will help calm specific symptoms related to his allergies. Thank you Green Mattress for partnering with us! Have you made changes in your bedroom to live greener? Or have you been looking for a non-toxic mattress? If you have any questions about The Green Mattress I'd be happy to help! Email me or leave your questions in the comments below.